Happy New Year everyone, and welcome to the January issue of the Shanville Monthly. I hope you all had a relaxing, refreshing festive break. I'm starting the year with a bang -- the release of the latest Zom-B book! And I plan to carry on in that fashion throughout 2014 -- I will be releasing at least 6 (yes, SIX!!!!) new books in the coming year!! 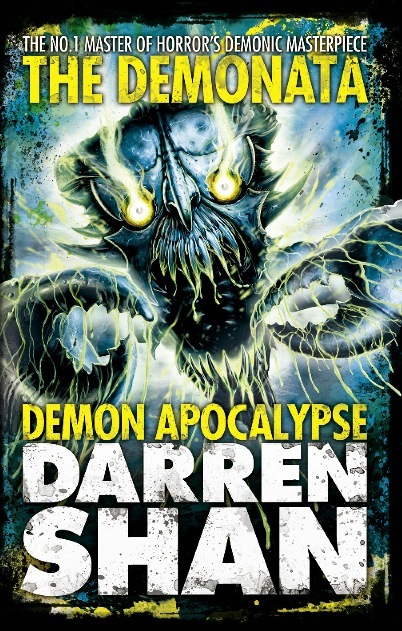 You can find out more about all of those below, along with all the latest Darren Shan news. I also have new covers and exclusive interior art to share with you, and there's a competition to celebrate the start of the new year. It's another bumper, surprising issue of the Shanville Monthly -- enjoy! 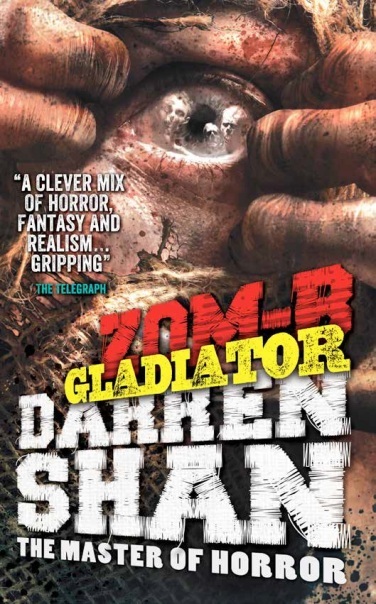 The big news this month, of course, is that Book 6 of my zombie series, Zom-B Gladiator, goes on sale on January 2nd in the UK, and January 7th in the USA, and around the same time in Australia, Canada and New Zealand. That's the American cover at the top, with the UK cover underneath. As usual, the artwork is by the same artist (the uber-talented Cliff Nielsen) but the publishers chose to go with different images from him this time. 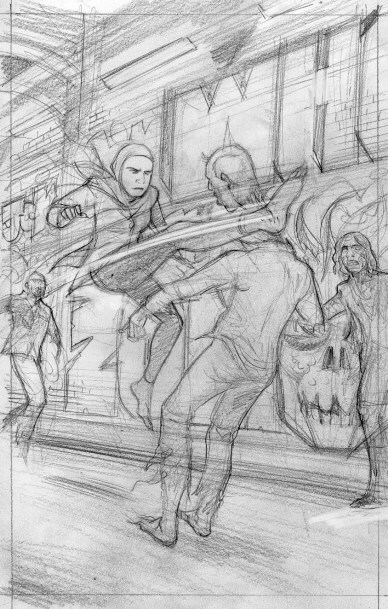 They both stem from the same scene in the book -- a bound and hooded figure being menaced -- but one goes for a long shot from early on in the scene, while the other goes for a close-up from a few chapters later. I love them both -- the UK cover is more immediately horrific, but the American cover makes me think of the infamous Abu Ghraib torture photographs. For me, the covers taken together perfectly sum up what I'm trying to do with my Zom-B book -- write a series that will thrill and scare readers, while at the same time provide them with plenty of food for thought. 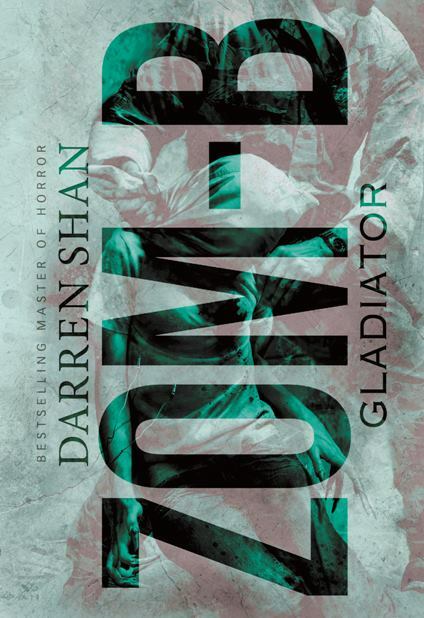 You should be able to buy Zom-B Gladiator in your local bookseller -- if you don't see it on the shelves, do please ask a member of staff to locate or order a copy for you. Alternatively you can buy or download it online if you prefer. In the USA you can buy the book on Amazon or Barnes & Noble, or download it in a variety of eFormats including Kindle and Nook Book. The book will also be available in audio format in the USA, read by Emma Galvin. You can buy that on Amazon or download on Ambling Books. "I’ve come to the conclusion that this series is very much like taking a shot: over quickly, but packs a powerful punch. Zom-B Gladiator was no exception. 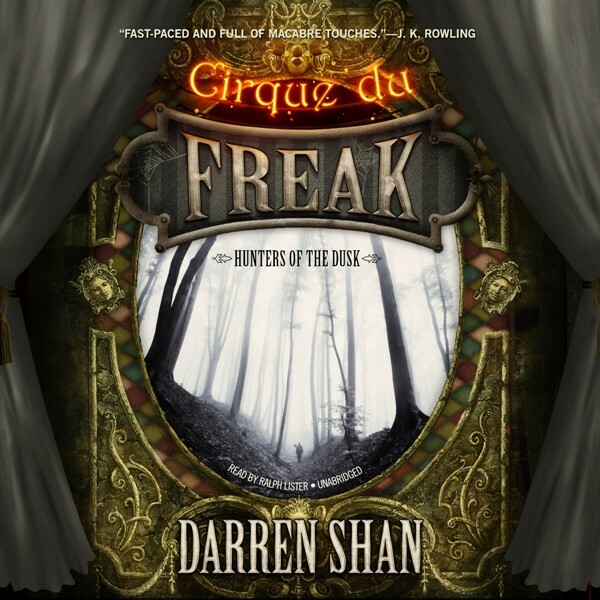 "Throughout the series, Darren Shan has been questioning the idea of monsters, of evil, of human nature, if you will, and in this instalment of the series, I think that was driven home the hardest. It wasn’t through an even more savage mutation of zombies or how deadly zombies with brains could be, it’s the humans that were the scariest creatures in Zom-B Gladiator. "The Board are a horrifying group of rich, aristocratic people who were politically powerful before the world fell and now they’re trying to rebuild London with themselves at the helm. As soon as I met them I knew that would be a truly horrible thing. 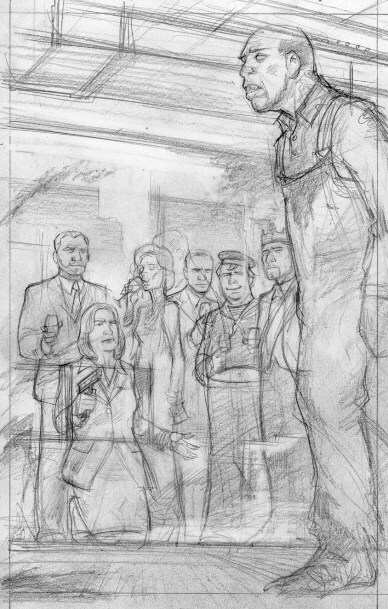 Dan-Dan gives me the creeps – perhaps even more so than Mr Dowling... It’s such a clever turn in a series that could quickly become samey if anyone but Shan were writing it. He doesn’t give his characters an easy ride! "I hated B in the first book, but now I love her and champion her unfailingly. Each book seems to vault her character development a hundred feet! This time B explored having friends and having colleagues and the importance of that. It was gave an emotional depth to B that I never could have imagined from book one if I hadn’t followed her journey since. There were moments when she was given choices and ultimatums that almost punched me in the face with how much she has grown as a character. I do love me some character development! "As you can see, Zom-B Gladiator was just as fantastic as the previous five books – and without the evil cliff-hanger ending – and I’m already chomping at the bit for book seven, Zom-B Mission. Bring it on!" As with all the Zom-B books, Warren Pleece will be providing exceptional cool interior art for Zom-B Gladiator. 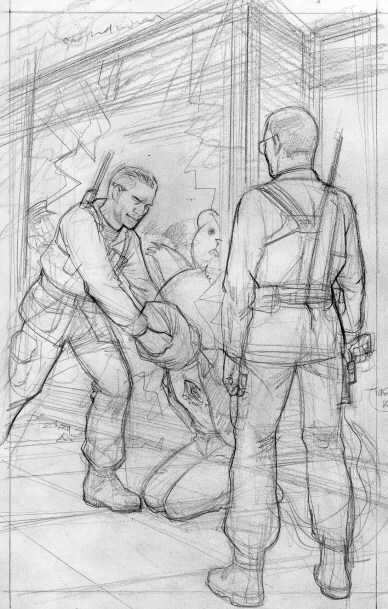 Here's a sneak preview at some of his early roughs for three of the pieces in the book. We haven't yet confirmed all the details about how we're going to release the book, but it should be available as an eBook, in a low-cost physical format, and maybe even as a giveaway in certain stores. We're releasing it in the UK and Ireland, as well as Australia and New Zealand, at the same time as the seventh book in the series, Zom-B Mission, on March 27th, and it's intended to act as a low-cost (maybe even free) treat for existing fans, and also as a cheap (or free) way for people who have read the books to dip their toes into the water and get a taste of what they're like. I wrote Zom-B Circus in the hope that it would be released as a World Book Day book. In the end the people who choose those books decided not to go for it, since they felt it would be too horrific for them (and that was just based on the book's summary!). I thought they were being overly sensitive, but hey-ho! That being said, if you get a World Book Day token this year, do feel free to hold on to it and use it to buy Zom-B Circus if you wish -- the plan is to make it available, if we sell physical copies of it independently, at about the £1 mark. We're also hoping to make Zom-B Circus available to readers in America and other countries where the series is published -- more news about that as and when we hear back from my various publishers. The paperback edition of Zom-B Angels will be released in the UK and Ireland on January 2nd, at the same time as the hardback of Zom-B Gladiator. You should be able to find this in your local bookshop, or else you can order it online from Amazon UK. Blood Beast and Demon Apocalypse, Books 5 and 6 of The Demonata, are being released in their brand new-look editions in the UK and Ireland on January 2nd. They should be on sale in your local book shop, but if not, either ask a member of staff to order them in for you, or order them online through Amazon UK or some other reputable company. They're a fiery couple of beasts! I hope you enjoy the new designs as much as I do. Books 7 and 8 are set to get the revised treatment and go on sale later in 2014, so look out for them. You can find larger scans of the covers, along with earlier drafts of both, by clicking here. 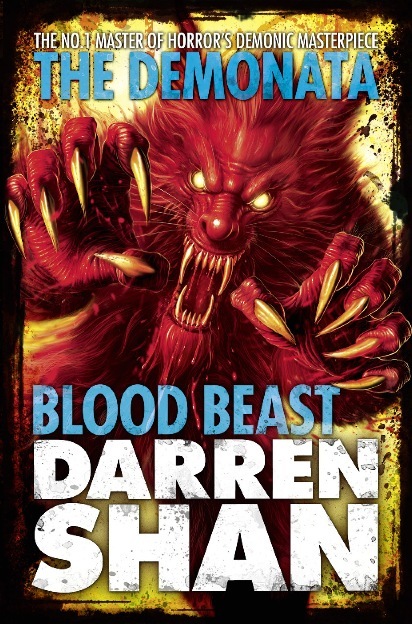 If you want to lose weight… READ DARREN SHAN?!? 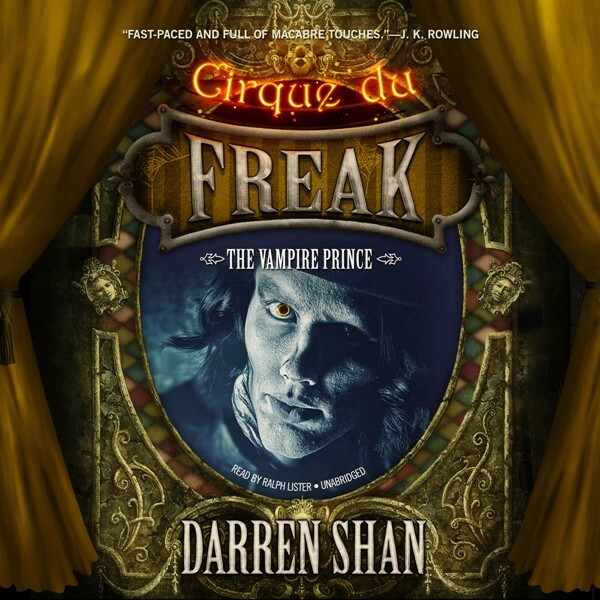 Although some of my Saga Of Darren Shan/Cirque Du Freak books were published in audio format in the UK, the series was never completed or made available in other countries. That’s all about to change! The first five books in the series have been released in brand new audio editions, in both the UK and USA, and Book 6, The Vampire Prince, and Book 7, Hunters Of The Dusk, are due to be released on January 1st, with the rest to soon follow -- see below. The narrator is Ralph Lister. Those are the super-cool covers above. If you click on them, you will be able to listen to free samples of the books, and download them if you wish to buy them. Books 8 and 9 are scheduled to be released on February 1st 2014, books 10 and 11 on march 1st 2014, and book 12 on April 1st 2014. If you’re a fan of my Zom-B series, and looking for some other cool zombie books to read, you’ll find some neat suggestions by CLICKING HERE. I was very concerned when I read this article about the closure of libraries in the UK over the last few years. http://readingzone.com/index.php?zone=sz&page=fullnews&id=1872 While it’s encouraging to see that so many volunteers are stepping forward to try and fill the gaps in libraries that have remained open but been shorn of staff, it’s also a worrying, insulting trend. The government are basically saying that qualified, experienced librarians can’t do anything that a well-meaning volunteer can do. To me, that shows how little they know. A good librarian is a font of knowledge, reads more widely than almost anyone else, and can respond to just about any of the needs of their customers. If government officials (MPs and local councillors) are so concerned about saving money, I’d suggest they start switching to volunteer status at THEIR level — if they think that public service should be the workplace of volunteers, what better way to set an example than by cutting their own wage packets? I was on tour in the USA earlier this year, and was hugely impressed by some of the new, vibrant, 21st century libraries I vivisted. I’m sure it’s not that way all across the States, but there are places where libraries and librarians are clearly cherished and seen as an asset to their communities. In the UK, under the present government, that’s not the case, and I feel very sad about that. I don’t often air my political views on here, but as a writer I can’t stand by mutely while a government openly attacks and closes libraries, while cynically downplaying the importance of the remaining librarians at the same time. Michael Gove (the minister for education) and his cronies are doing a shameful thing to their country, and I hope voters bear that in mind when the next elections come round. 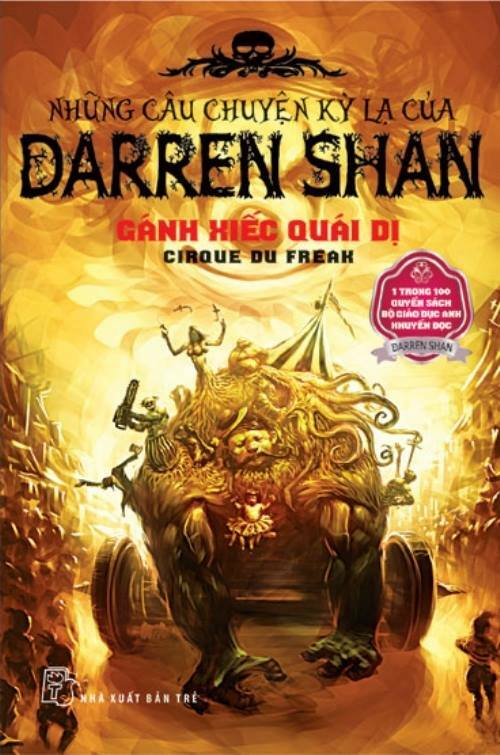 I love this new Vietnamese cover for Cirque Du Freak! It's very different to all of the other covers there have been for the book, and I always get an extra buzz when a country produces it own, unique covers for my books. Apparently the new version is already on sale in Vietnam, so go hunt it down if you live there and don't already own a copy! To celebrate the start of the new year, as well as the release of Zom-B Gladiator, I'm running a competition this month where you have a chance to win one of fourteen signed copies of the UK paperback edition of Zom-B City! (I chose 14 copies to reflect the fact that the year is 2014!) As well as the novel, the paperback edition contains notes about the writing of the book, as well as a short Halloween story. The competition is open to fans everywhere in the world, so go ahead and give it a try -- what have you got to lose?!? 1) Answer this question: "What is the name of the short Zom-B book which is being released at the same time as Zom-B Mission on March 27th?" (4) Closing date is midnight, UK Time, Sunday, January 12th, 2014. (8) The draw for the winners will be made on or after Monday, January 13th, 2014. It will be a completely random draw, made by Darren Shan personally (I use an online number generator to pick the winners). I will try to notify the winners by e-mail, and will post their names on the Shanville Message Board, in the February issue of the Shanville Monthly, and possibly on Twitter and Facebook too. 2013 was officially my busiest year ever on the road, as I did at least one event in every single month of the year!! That's the first time that has ever happened, and I suspect it will be the last! It wasn't something I thought about at the start of the year -- it just simply worked out that way. Even though I won't be quite as active in 2014, I still plan to spend quite a lot of time on the road, so keep checking back here over the course of the year for updates as and when they get confirmed. As I revealed last month, there isn't going to be a Zom-B Gladiator tour. Instead I'll be going on a big tour of the UK and Ireland in early April, when Book 7: Zom-B Mission and the one-off Zom-B City are released. I'm also going to be doing several events in Canada in late March, and maybe one or two in New York before that -- I'll hopefully have more info about those next month. In addition to those, I will be meeting Irish competition winners of the Easons Zom-B Feast on February 1st in Dublin, and I've recently confirmed special one-off events in Norwich in May, as well as at the Hay Kells Festival in Ireland in July.